I really love the character of older homes, but they can present challenges when trying to make even basic repairs. Take doorknobs for example. Most older homes have a very small hole in each door for a square threaded shaft, which has a doorknob on each end. 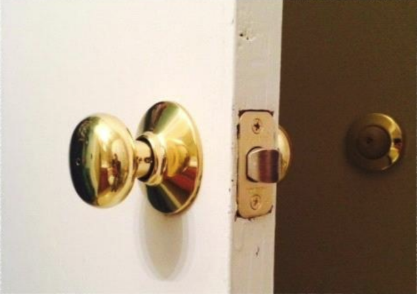 Those knobs are usually secured with set screws. While these are quite dependable and well made, the time can come to replace them. You can go the authentic route and purchase restoration equipment, but prepare to pay a hefty price! Most of you will want to follow a little more economic path. Here’s how to install a modern door knob in old doors. Select a small piece of plywood that you can use as a guide jig for drilling out the door. 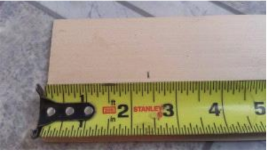 Check the backset distance of the new doorknob that you want to install (most the time the distance will be 2 3/8′′) and mark it on the jig off of one end of the board. 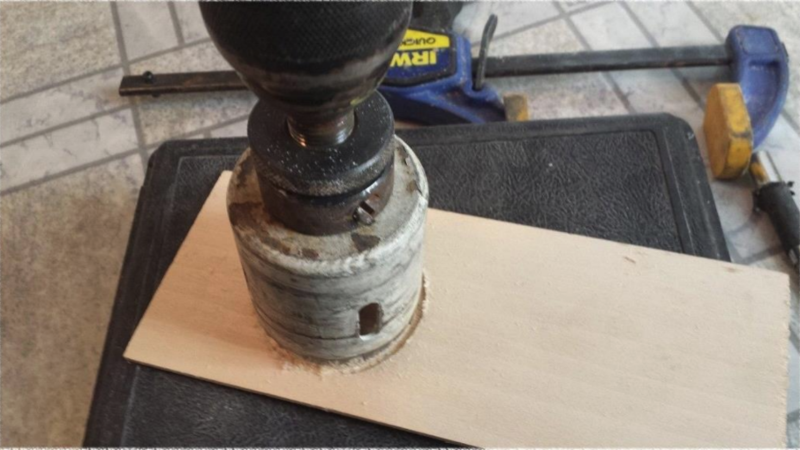 Use your hole saw to drill out the jig with same size hole that will be needed for the doorknob (usually 2 1/8′′). Drill out the jig, centering on the mark. Clamp the jig on the door while making sure that the reference edge, the one that you measured from in step 1, is lined up with the edge of the door. Clamp the jig in place. 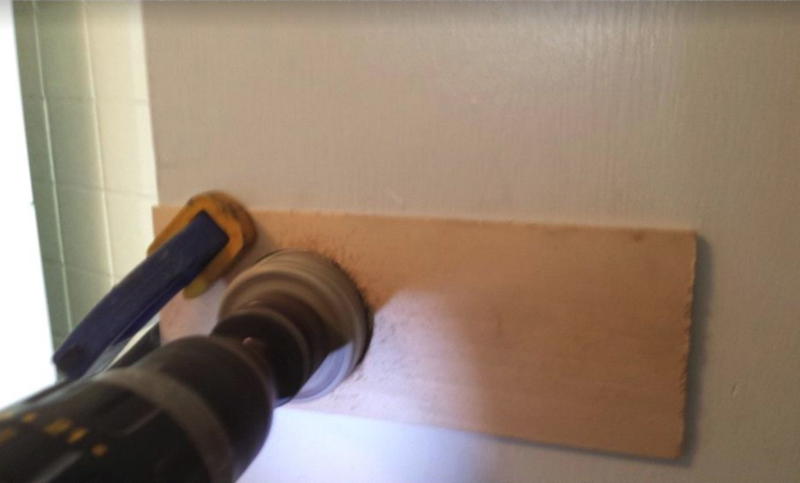 Now use the same hole saw and drill out the door while using the jig to keep the drill from “walking” on the door. Use caution when drilling through the other side of the door to keep the door from splintering out on the other side. You can put a second piece of plywood on the other side to “back the door” during drilling to avoid blowout. Clamp the jig to the door with the reference edge lined up on the edge of the door. Now you are ready to install the new doorknob as you would with any newer type door. I hope this helps answer your questions about how to install new door knobs in old doors. 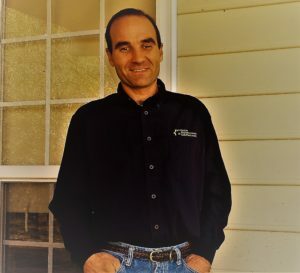 I encourage you to use the home repair knowledge that you have to make your home a great place for your family! Please comment below on how you have used this tip or others to help make your home better.